New species: Green Woodpecker, Song Thrush. 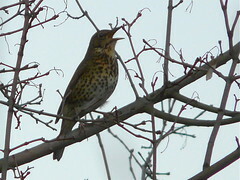 The song thrush is one I didn't score last year. Not a great photo -- still getting the hang of the new camera.